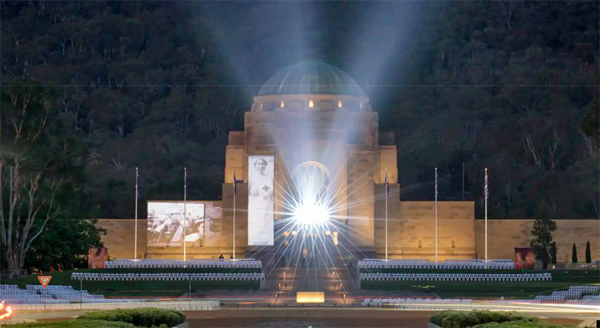 What stories will be told in the proposed upgrade to the Australian War Memorial? As the letters pages of this paper are demonstrating, you don’t need to be a member of the black-armband brigade to question the decision to spend (a massive) $498 million dollars expanding the Australian War Memorial. The original purpose of the memorial was to prompt memory and reflection, and nobody can begrudge the desire to remember those who have lost their lives. The stark simplicity of those sandstone cloisters, lined with the names of thousands who died and sitting under a Byzantine-inspired copper dome in the middle of the Australian bush, speaks to the emotions in a way nothing else can. Then there’s the huge collection of memorabilia, serving a different purpose entirely. This, too, has its place. Nonetheless, let’s be quite clear about its purpose. It’s aim is not to glorify conflict – and yet how can sterile items of equipment evoke the carnage, chaos and horror of war? It’s objective is different; to tell stories – and yet how can so many different individual experiences ever be adequately bound together and narrated in a coherent whole as if they are, somehow, accurate reflections of what’s actually occurred? That doesn’t mean we shouldn’t try, but it does mean we should have some humility about how little will be successfully conveyed, no matter how much money and resources are devoted to the attempt. Sometimes less is more. Whose story, after all, is being told? Take the Middle East Area of Operations. The total sum allocated for this ‘refresh’ isn’t simply more than the total spent in Afghanistan in the years our commitment began ramping up (2007/08; just under $400 million); it’s actually double the entire budget for the theatre (Operations Slipper, Accordion and Manitou) as they wound down (2014/15; $240.8 million). For every 16 dollars we spent in the Middle East since the beginning of 2007, we’re now proposing to spend one dollar crowing about how marvellous our contribution has been. That’s some hymn. And what story will we tell? We achieved the mission – destroying Al Quaeda – but what of Afghanistan? We did what we could but the valleys of Uruzgan are as lawless as they were a decade ago. Last October Operation Resolute Support assessed this as one of three provinces in the country with the largest number of districts under insurgent control or influence. And now? Well, by last week every district in the province, with the exception of the capital Tarin Khot itself, had fallen to the Taliban. The most recent story is even more depressing. Just a few days ago a patrol of Afghan and US Special Forces, returning from a night raid, was fired on as it approached a checkpoint on a small hill outside the town. Sentries, believing they were under attack by insurgents, opened up with sub machine-guns and rocket propelled grenades. Attempts to make contact with the defenders in the dark failed. They lacked radios and weren’t aware the patrol was coming in. Instead of pulling back and waiting for dawn, a precision airstrike was called in. This succeeded in opening the path in to the town only too well. Five defenders were killed; a further nine wounded.